Welcome to Supreme Carriages. 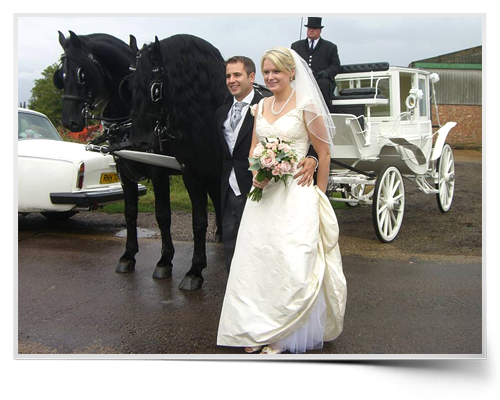 We are a family run business of carriage masters serving Norfolk, East Anglia, and all of the UK. 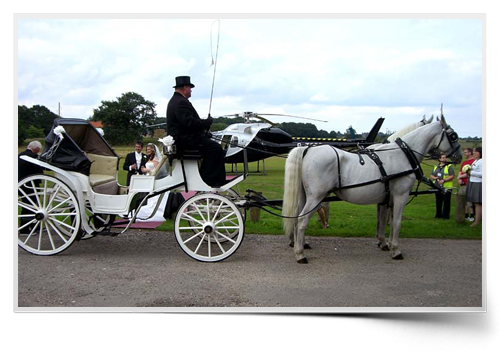 We offer a highly professional and personal horse and carriage hire service - since the 1940s. 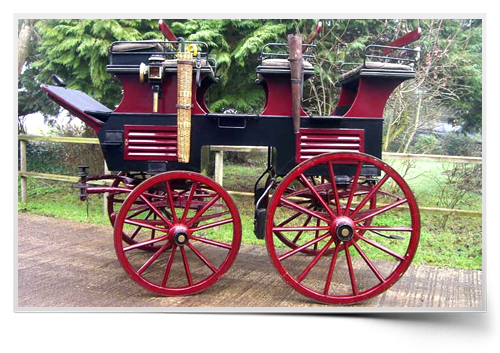 We offer a selection of 12 authentic and restored, closed or open carriages dating back to 1862. Our range includes Landau, Victoria, Brougham, Sociable and Royal Glass Coaches, complete with a choice of horses available in pairs or teams of up to six. 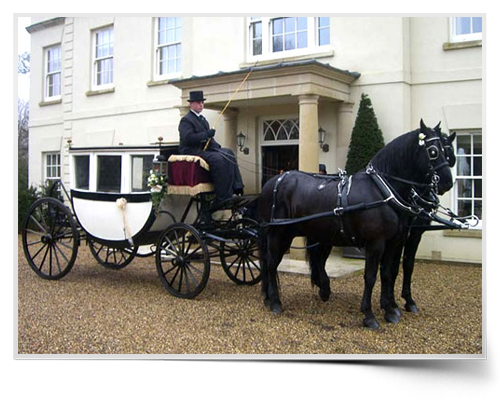 Our comprehensive service comes complete with experienced coachmen and all livery provided. 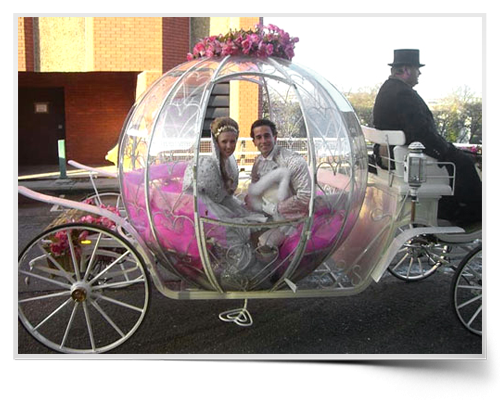 Add a touch of glamour to your special day, either Wedding or Prom - arrive in style. A popular favourite for weddings and promotions. This carriage has the advantage of glass and all round a very smart interior - A Touch of Class. Built by Lvall and Large in 1887, this English carriage is very popular for weddings. The interior is a lavish silver fox complete with a 3/4 hood. The carriage is coloured burgundy and black and seats two adults and two small children. 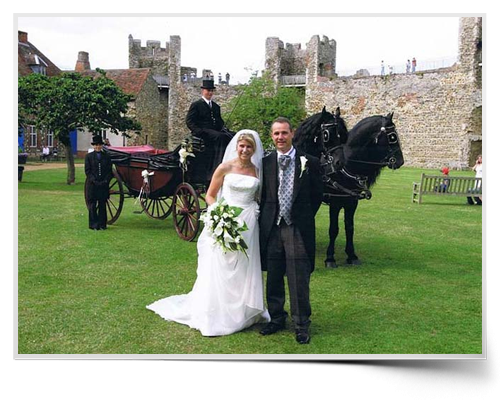 This white carriage is again very popular for weddings, seating four people. Its cream interior is complete with a 3/4 hood. This burgundy and black carriage can either be open or closed,due to its two black leather hoods. White glass fronted landau seats four white leather interior can be opened or closed very popular for proms and weddings. Black and Blue Brougham with blue leather interior seats four, this carriage is ideal for all weather cover. Ideal for family rides, picnic rides, rides to pubs of your choice (10 mile radius) and weddings. TWe help to make any special occasion even more memorable, and cater for all events, with weddings and funerals our speciality. 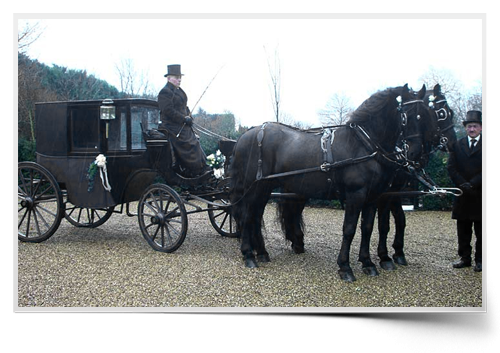 Our carriages and horses can also be supplied for film and television work. Distance is no object - we trade all over the UK and throughout Europe. We are fully insured and guarantee a quality personal service at a competitive price. For further information or assistance please contact us using the details below.